Cleveland resident David Jones’ perspective on homelessness is like few others. He had a good job as an IT professional at a homeless shelter, never thinking he one day would be on the receiving end of an agency’s mission. But one day in 2013, he woke up in a hospital bed following a serious stroke. Complications, including total renal failure, led to him losing his job and his home. He needed help. He found it at Joseph’s Home in Cleveland. That process isn’t as simple as providing shelter, meals or blankets. It requires a network of agencies and their relentless workers and volunteers to tackle the many issues involved in such a complicated and vital issue. Three Cleveland non-profits — Joseph’s Home, West Side Catholic Center and Lutheran Metropolitan Ministry — include homelessness in their missions. Their approaches are both varied and effective. 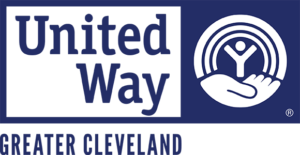 They are among 25 area agencies being supported in the third annual Good News Giving campaign, sponsored by The Plain Dealer and Northeast Ohio Media Group. The campaign will feature stories about these agencies during the holiday season, offer a means for donating to them, and provide them with free advertising in The Plain Dealer and Sun News, and on cleveland.com. Information about these agencies, plus a link to their websites, is posted on the Good News Giving website: cleveland.com/goodnewsgiving. The site features the logo of each agency, a description of its mission and the means of making a donation. Dialysis three days a week took a toll on Jones. He had to quit his job. He became depressed and did not take good care of his health, which declined further. He lost his apartment and found himself in a group home, which referred him to Joseph’s Home. Staff there helped him stabilize his health and find an apartment he can afford on a fixed income that now includes Social Security benefits. He lives on the West Side, within walking distance of Edgewater Park, which he visits frequently. He just paid his first month’s rent. Founded in 2000 by the Sisters of Charity of St. Augustine, Joseph’s Home seeks to meet the needs of single homeless men who are ill or have been recently discharged from a care facility and have no place to go and recover. The home-like facility next to Cuyahoga Community College’s Metro Campus fills a critical gap for men such as Jones. David Henderson led what he called a “lucrative life,” with a home health care business that counted among its clients former Cleveland Cavaliers owner Ted Stepien. The business collapsed during the recession, and his marriage and health soon followed. He lost his home and was going from relative to relative, then to shelters, as his health worsened. After six months at Joseph’s Home, his diabetes and other issues were stabilized. He transitioned to an apartment in Hough, where he lives today. 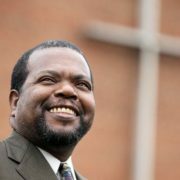 Henderson is paying it forward, serving as an advisor at Joseph’s Home and is being considered for a position on its board. He is the facility’s enthusiastic ambassador, and said Joseph’s Home did more than repair his life. Since his stay, he said he has mended relationships with his eight children. “Joseph’s Home doesn’t just heal the individual, it permeates throughout the whole family,” he said. Angelo Jessup was a rebellious 11-year-old, living in poverty and struggling to build relationships outside the family, when he first encountered Lutheran Metropolitan Ministry. Fourteen years later, he’s still there, working with kids in similar situations. Talking about his life at LMM, Jessup sounds confident. It seems like a natural fit. But he said each step came with growing pains, and LMM staff was there for him throughout. As a kid, he attended LMM’s After School Prevention Resources (ASPR) program. LMM staff drew him out and formed bonds. He quit school and left town, but when he came back to Cleveland, LMM welcomed him and guided him toward a GED. He was asked to join the first Teen Advisory Group. He helped launch a Q-Team, which conducted program quality assessments. He became the team’s coordinator while attending Tri-C. He was dogged by a fear of failure, and each advancement required him to grow in ways he didn’t think he was capable of. ASPR is just one of LMM’s many missions. It was established in response to the urban unrest of the 1960’s, specifically the upheaval in Hough. Its outreach includes, as well as at-risk youth, people who are or have been in legal trouble, or who are dealing with long-term care needs, and the homeless. LMM helped nearly 9,000 people last year, according to Development Director Megan Crow Brauer. LMM runs a homeless shelter and its kitchen prepared 431,800 meals for the homeless and poor throughout the city. “We inhabit an intersection where great needs meet bold solutions,” said Crow Brauer. Workforce development and counseling are priorities, and Brauer pointed to a recent success story in Sarah Reed, who had trouble finding a job after being incarcerated. LMM accepted her into a culinary arts program and she worked at LMM’s Blazing Bistro, a food truck-style restaurant in a shipping container behind the Rock and Roll Hall of Fame. The successful bistro will be relocated downtown in the spring with Reed and other LMM-trained chefs. Chanel was a homeless Navy veteran with two daughters and an infant son. She had been working as a medical assistant in another city, but lost her job and moved to Cleveland to be close to her husband’s family. Domestic issues forced her to the streets, and the Veterans Administration connected her with the West Side Catholic Center and its women’s and children’s shelter. Chanel said she felt helpless and scared, and worried she had let her kids down, but quickly felt at home at the shelter. It allowed her to pause her life and set a new direction. While at the shelter, the family received medical care and children’s programming. Some of the daily critical needs it addresses include food and medication, heat and water, homelessness and providing help with job searches and transportation. Maurice came there in 2013 looking for a meal. He was homeless and had been in and out of jail a half-dozen times for selling drugs. He found more than short-term nourishment at WSCC. He soaked up lessons in creative writing, interviewing, professionalism, resume writing and employment skills. He gained work experience through job placements. He has been a featured writer by Cuyahoga Arts & Culture and at the Expressive Arts Project showcase. Maurice said WSCC changed the way he thought about life, and it changed the scope of his life. Joseph’s Home is located at 2412 Community College Ave., Cleveland 44115. The mission of Josephs Home is to empower men experiencing homelessness and acute illness to heal in a nurturing faith-based environment and achieve independence. Lutheran Metropolitan Ministry is located in The Richard Sering Center, 4515 Superior Ave., Cleveland 44103. Lutheran Metropolitan Ministry serves with people who are oppressed, forgotten and hurting, through a Christian ministry of service and advocacy, to overcome barriers, obtain job skills, gain employment, locate stable housing, access counseling and support services, stay out of prison, secure second chances and become self-sufficient, productive members of our community. West Side Catholic Center is located at 3135 Lorain Ave., Cleveland 44113. The West Side Catholic Center since 1977 has offered hot meals, hospitality, clothing and household goods, emergency services, advocacy, a women and children’s shelter and a housing solutions program to those in need at no charge, regardless of religious affiliation.